Here are 50 ways banks are earning from you through bank fees, penalties or charges. This list is not to condemn banks. We need banks. This is just to make you aware there are a lot of bank fees and what these fees are, so you can be smart about them. These bank fees are not only charged in the Philippines — most of these fees are also charged by banks in other countries. This is among the most common fees charged by banks, based on complaints online. One OFW wrote to this blog, saying she was charged 300 pesos for 15 months for a total of 4,500. She did not know that the minimum Monthly Average Daily Balance (MADB) or maintaining balance was increased. This is common among OFWs who are too busy with their work abroad they forget to remit to their accounts. A savings account becomes dormant if there’s no deposit or withdrawal within 2 years. The time frame for a checking account is only one year. It’s great to say that BPI, BPI Family, Union Bank, EastWest Bank, Sterling Bank of Asia and some big RCBC branches do not impose this fee. This is one of the reasons why many online sellers use BPI accounts for collecting payments from their customers. Their customers will not have to pay deposit fees. This is usually imposed on higher-interest accounts. 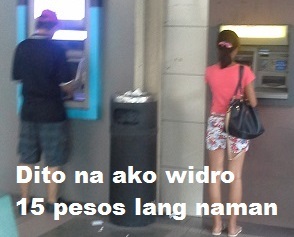 This is perhaps the most common fees charged by banks, and the most ignored by cardholders (“15 pesos lang naman…”). Banks say your ATM account is ATM-based, so you should use only the ATM for withdrawals. Your withdrawal should be free if the machine is out of order, or if you need more than the daily maximum ATM withdrawal amount. This usually costs US$3.50 per ATM withdrawal. Some ATMs abroad also charge their own fees. These fees for overseas withdrawals are in addition to fees charged by some ATMs abroad for foreign-issued ATMs. Usually, you are limited to 2 to 4 free ATM withdrawals a month. This is charged for Visa or Mastercard prepaid cards not linked to a savings account. Nagbayad ka na sa remittance company sa abroad, may bayad pa sa bangko? Yes! In some cases, banks get their remittance fee through their foreign exchange conversion rate. 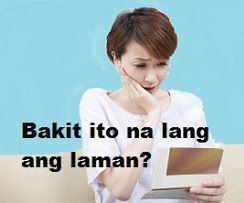 SPO application fee is usually 200 pesos per check. If your due date is a holiday, Saturday or Sunday, pay before your due date. If you’re paying by check, pay several days before to allow for the 3-day to 7-day check clearing period. You spent more than your available credit limit. Bakit daw hindi ka minsanan lang magbayad? Huh!
. Foreign banks usually do not impose maintaining balance requirements for each account. What they use is Total Relationship Balance (TRB), the overall total of the balances of all your bank and investment accounts with them.
. The 50 bank fees above are not the only bank fees charged. There are other bank fees. What is Maintaining Balance or Monthly Average Daily Balance (MADB)? Hi! can i share this in my FB? Hi Fredderick, yes, please, please share it. Thank you very much! I hope to see your FB. Just want to say Kudos on your article! Lots of great information. I did not realize the numerous fees that can be levied to a account holder. Excessive dollar deposit or withdrawal garnishes a fee..I have to give that guy who though that up a star for greed. My biggest grip here with the banks is their set limitation of withdrawal of 10k for overseas cards and fee of 250 pesos. Which makes it very inconvenient to pay rent and bills. There are so many ways for a bank to earn money then why are so many of them getting bankrupt. Hi Bigwas, that's true. In the Philippines, most of the banks that failed were rural banks, and the major reason was either loan mismanagement or owners/managers' fund diversion. The last 2 commercial banks that failed, Urban Bank in 2000 and Export & Industry Bank (EIB) in 2012, were mainly due to bad investments. EIB acquired failed Urban Bank in 2001. Hope you can update the list of remittance companies accepting remittances from Indonesia to Phils..a new Landbank partner, PT Prima Expres Remit. This is very informative Ms. Nora. I've read all your post and it makes me wonder why I haven't seen this before. I'll share this to my friends so that it'll gain more attention. No doubt banks earn from us but it is necessary after all the professionals in the bank are one of our friends, or one of our countryman. HUH?????? so your point is? Yes, that is true, but you don't realize that a majority of their "Profit" are generated by their Commercial Accounts. You really think that the bottom line is driven by private consumers? Being an outsider, I find that your banks charge you at a drop of a hat. They charge you on things that are unheard of overseas. Anything to make a buck or peso. Hi Saad and Bigwas, yes, you're both right. Thanks for reading and commenting. Do you have a branch in New York that is still in operation? Is there a BPI branch in Hew York that is still in operation? BPI Branch in New York? : I think it was already closed down, even before their remittance branches in Italy were closed down. It was not a banking branch, it was a remittance branch. The US remittance partners of BPI are Xoom, Remitly, Lucky Money and Money2Anywhere.